Whistle Your Way Through A Cave in: Hyper Bat Simulator 2018! A few weeks ago was the end of January, and many game developers know what that means: It’s time for yet another Global Game Jam! The GGJ is a world-wide event with hundreds of locations where people meet for 48 hours of rapid game development. The game and its source code is available at its Global Game Jam entry page. Okay, on to the development! This time (and very atypical for me), the concept was rather simple. A single player game with no really hard development challenges – well, that leaves more room for polish, and sounds just right for 48 hours! This was also one of the few times where the game design didn’t change much over the course of the weekend. Everything just worked. In the end, we actually finished the game with all the features we wanted! We even removed some features we already implemented because they made the game less accessible and weren’t as much fun as we had imagined: Dizzyness when the bat crashed into a wall, and not being able to call out to children when there’s a wall in the way. We also wanted to add monsters that follow sound, but in the end the game turned out to be plenty fun without the added complications, so we decided not to go that route. The microphone implementation was incredibly easy, more so because this isn’t my first microphone controlled game. I just had to sample the input volume and detects peaks. First I wanted to do the echolocation waves via shaders, but that that would’ve taken some time. Then I remembered something I learnt about in a Pluralsight video tutorial just a few weeks ago: Light Cookies, which allow you to put shadow masks on Unity3D lights. 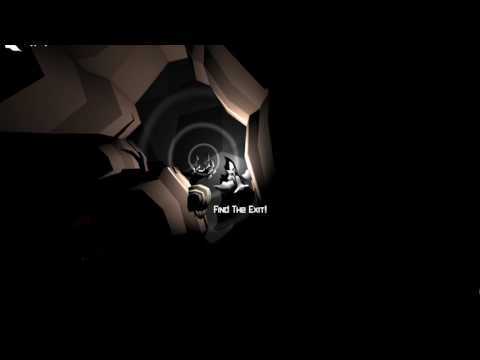 The final echolocation waves are just multiple spotlights with a circular light cookie mask shining from above, and the angle gets progressively bigger. That way it “runs” across obstacles and scales walls and stalagmites instead of just looking like it’s two-dimensional shape projected from above. The effect is a bit hard to describe, but you can see it quite often in the videos linked above. I am really happy with our result! Thanks a lot to my team for being the best team – and to the location organizers and the Global Game Jam team who made it possible for us to jam without worrying too much about such mundane things as work space or food! 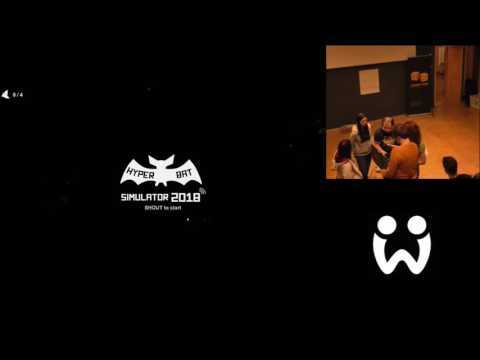 Posted on February 9, 2017 May 23, 2018 Categories Awesome MinigamesTags 1 Player, Berlin, C#, Game Jam, Gamepad, Global Game Jam, Microphone, Open Source, UnityLeave a comment on Whistle Your Way Through A Cave in: Hyper Bat Simulator 2018! Alright, next batch of generative sketches coming up. Grab them while they’re hot! This is the first time one of my artworks is inspired by music! The song in question is Das Kollektiv by ASP. I’m taking a fairly literal interpretation of a swarm of little entities in between the walls, sucking out the essence of the “guests”. The images are pretty dark; you might need high contrast settings. This next one isn’t just inspired by music, but directly driven by it! There is already a post about it, so I’ll just post the visuals here. When making Into Oblivion, I was a bit frustrated that it was rather hard to gain good information from the FFT analysis and that it was utterly impossible to find which instrument was playing. And then a friend told me about MOD music. Unlike audio files like mp3, module files aren’t rendered down to just the audio information. Simplified, they have two elements: A collection of distinct audio samples and tracker information when to play which sample and how to modify its pitch, volume and other properties. So that means if your visualizer is a MOD player, you have all this juicy information available at your fingertips! A MOD tracker to analyze the MOD files: OpenMPT filled that spot quite nicely and was easy to get into even for a total beginner like me. A MOD processing library – of which I only found one! Luckily, PortaMod has (nearly) everything I needed, and the creator Brendan Ratliff was most helpful on Twitter. Since this was my first foray into MOD music visualization and I wasn’t cooperating with a musician, I wanted to keep the visualizer as general as possible; any file that it could play should work. I also wanted to use as much information as possible. In the end, I chose a rotating circular representation divided into slices. Each slice is a MOD channel and each MOD sample was assigned a color. Pitch modifications made the radius go bigger, and everything is pulsating according to the output amplitude. And now there’s been enough talk – have a preview video and a few screenshots! So far I’ve mostly used Processing and occasionally Unity3D for my generative sketches. While I’ve learnt quite a few techniques on how to make things look interesting, I’ve been struggling with making them look beautiful. Processing definitely has the capabilities for beautiful rendering, but so far it seems to be a bit beyond me. Secondly, most of my stuff is 2D and neither Processing nor Unity3D have strong tools for procedural mesh authoring. Time for a new contender: SideFX Houdini! Houdini is a 3d modeling/animation program with a procedural twist: Every action is saved in a node network and the node/action parameters can be changed or randomized later. That allows for generative artworks among other things. You can also just build the node network directly which feels very much like visual programming. So this batch contains the first things I’ve ever done with Houdini. Most are inspired by the fabulous Entagma tutorial series. The first one is based on the Entagma “Poly Rembrandt” tutorial series. The tutorial produces great results, but I was missing that randomization touch that leads to every image generated being different. Using colored noise textures as input instead of images worked quite well for that. Next up is my first seamlessly looping video! After my previous experiences with music visualizers, I tried to make one in Houdini with the help of this tutorial about audio-driven animation. The tile position changes are animated to the beat of one of the percussion instruments, the jittering is in tune with the amplitude and the color of the light changes roughly according to the frequency of the tune. This is made possible by using a multi-track arrangement I took from http://www.cambridge-mt.com/ms-mtk.htm: Lacuna (Excerpt) by APZX. It didn’t turned out as impactful as I would’ve hoped – but because of the half-transparent tiles it took a really, really excessive amount of time to render and I didn’t want to redo it. Next, I discovered my love for melted things with this Entagma tutorial. I also learnt that the recipe for an awesome looking image is 1.) place a light source in the middle of an object and 2.) activate subsurface scattering. Here I tried to use volumes generated by noise to make a cave with stalagmites and stalactites. Instead, I got this. I think I’m pretty fine with that. I also learnt how to use the compositing capabilities of Houdini to lighten up the resulting image right after rendering. Steel Wool uses curl noise flow around a procedurally generated object. I wanted to use subsurface scattering again, but stumbled upon the metallic effect instead and quite liked it. This looks almost more 2D than most 2D stuff I’ve done so far. Mesh splinters, highly transparent and with lighting from behind. And that’s it for this batch! In case you want to see the contents of any of the Houdini files yourself, just install the free Houdini Apprentice Edition and head to my Houdini GitHub repository to get the project files. Countdown: Useful for things like cooldowns or spawn delays. It is also helpful for tweening things by using the PercentElapsed property. EditorHelper: Gets the [Tooltip] attribute content of fields for editor classes. Might get more helper methods in the future. LINQExtensions: A collection of extension methods for IEnumerable, List and arrays. MathHelper: Helper methods for time-independent eased lerping, mapping and angles. MeshCreator: Makes it more convenient to create meshes via code. NoiseOutputValue: Enter a range and a speed in the editor, get an output value that fluctuates over time using Perlin Noise. RandomBag: A RandomBag gives you random items from a group while ensuring that in a certain interval every item was given back the same number of times. RollingArray: Collection that keeps the last x elements that are added to it. Singleton: Allows easy and convenient creation of a Singleton. Optionally makes a Singleton persist between scenes while ensuring that only one exists. UnityHelper: Contains a plethora of useful extensions and helpers for Transform, GameObject, Vector2/3/4, Rect and more. XmlHelper: Serializes data to XML strings and makes accessing optional element content and attributes in general XMLs easier. To use the scripts, just drop them into the Assets folder of your projects. Or better yet, make an “Assets/Extensions/TobisUnityUtitilites” folder and drop them there. Hurray for proper organisation. You can also just use selected scripts, but you should check the “Dependencies” section in the respective folder to make sure you copy everything you need. Based on a work by the ever-fabulous Titouan Millet! It turned out not to look like the original too much and instead has its own charm. An experiment with agents and attractors. It’s been over a year since I last posted a collection of small generative art sketches – but that’s not because I stopped making them, I just got a bit lazy with posting. There’s quite a lot queued up now! And without any further ado, here are candidates #29 to #35. This one isn’t terribly impressive, but it was made in a few minutes to demonstrate Processing to a colleague and is reasonably nice to look at. A typographic variation of #028: Isles using the Mara’s Eye font. #031: Chimera Maker: What Has Science Done?! The sillyness levels go through the roof with this one. For executables for Windows, Mac, Linux and Android and for more pictures, check out it’s own blog post! The newest entry in a series of silly animal-themed generative art: An animal music visualizer. Well, it started out as a music visualizer, but I don’t think it would work with many tracks and it needs a lot of configuration. It makes for a fun video nonetheless. I proudly present: Canada’s Marvelous Singing & Dancing Animals! The song is Python by Rolemusic and the images used are all public domain/CC0. If any of the animals aren’t Canadian after all, this is an unintentional error; I just identified them by the way they move their snouts. With my newest generative artwork, I embark into the wonderful world of generative/reaction animations: It’s a music visualizer. I’ve used spectrum analysis (powered by minim) and Processing to make a reactive artwork. It works especially for songs with breaks and theme changes where it becomes really apparent that the result is really dependent on the currently played music. If you are Windows, you can download it here – edit the default.xml to use your own music, change the color scheme. Check out the readme for the controls! The source code is, as always for my generative art in Processing, available at the GitHub repository and open source. You can open it with Processing 3 – just import Minim. 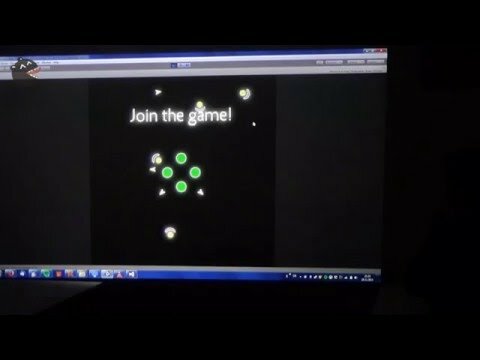 I’ve made prototypes for local multiplayer games with 10+ people before – some very successfully, some less so, but always with great pleasure. There is something magical about a crowd of people all playing the same game together. You don’t just need to design good mechanics though – the game should balance well with a few or with a lot of people, which is also hard to test because you always need a crowd. Another problem is input: While yelling with varying volume in Screamy Bird is tremendously fun, it is a bit limited control-wise. Unless your crowd is very small, giving everyone a gamepad is not an option. But these days, most people have a smartphone with a web browser, and luckily, platforms like AirConsole and HappyFunTimes make using these as controllers extremly easy! My goal was to make a game where people have to cooperate and that scales well with different amounts of players. To ensure cooperation, the game would feature two radically asymmetric roles: the Shooter, which can attack but dies to a single hit, and the Defender, which has no offensive capabilities, but whose shield can absorb any amount of damage. In the center of the games are the Cores which the players have to defend. Enemies come in from all around the screen and try to destroy the players and the Cores, whatever is nearest. The enemies’ projectiles are heat-seeking – they will always hit something, so without the Defenders, the Core and the Shooters will be destroyed rather sooner than later; but without the Shooters, the defenders could not destroy a single enemy. This was a jam game done in about 12 hours and everyone around me was busy, so I there was no way I could balance it properly. I solved that dilemma by assuming the role of the game master: I would sit at the keyboard and spawn enemies. The video was filmed by Iwan Gabovitch and the sound effects are from the fabulous Universal Sound Effects which I can very much recommend. Connection problems aside, I am very content with how the mechanics worked out and I think there is a lot of potential there. I will probably revisit this prototype some day and make a proper game out of it.